The priesthood is the power and authority of God. God gives this authority to worthy male members of the Church ages 12 and older so that they can act in His name to bless others. 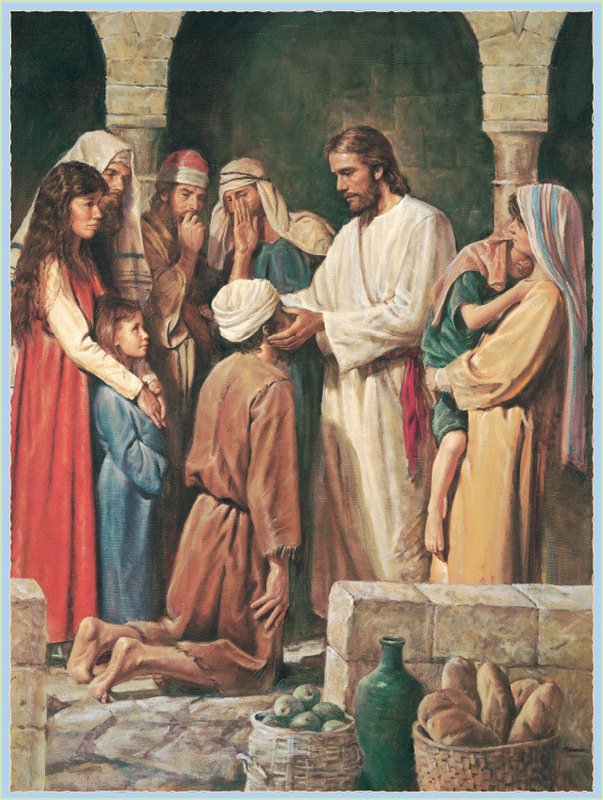 The ordinances of the gospel, such as baptism and confirmation, the sacrament, and others, are performed by the authority of the priesthood (see D&C 13; 20:73–79; 84:19–22). 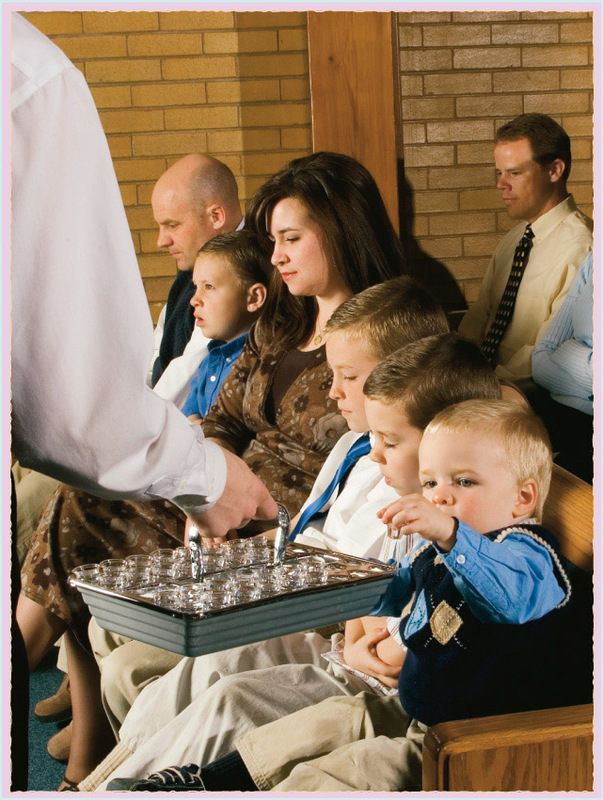 All members of the Church benefit from the priesthood. Mark pages 26 and 114 in this manual so that you can turn to them easily. Mine is a home where every hour is blessed by the strength of priesthood power. 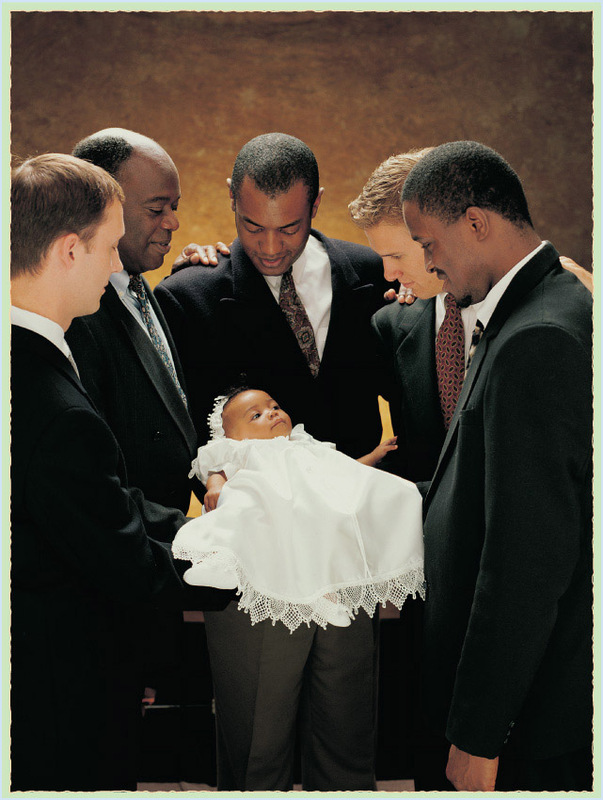 Share your testimony that Heavenly Father blesses us through the priesthood. Doctrinal instruction: This section is intended to help the children gain a very basic understanding of the gospel. Some of them may not understand everything you say, but they will become familiar with the language of the gospel and build a foundation for things they will learn later in life. Young children have varied language abilities (see Teaching, No Greater Call, 110–11). 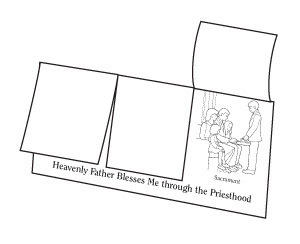 To help younger children repeat words from the lesson, in a gentle tone say something like, “Can you say priesthood? Say priesthood with me,” and wait for a response. If the child does not respond, lovingly repeat the invitation, but do not pressure him or her. Even by only listening, children can learn from the lesson. For the guest activity: Arrange for a father who blessed his baby recently to bring his baby to the nursery class and talk about his experience. For the flip book: Copy the illustration on page 119. Color if desired. Cut along the solid lines and fold along the dotted line. Recite any or all of the following activity verses and invite the children to join you. 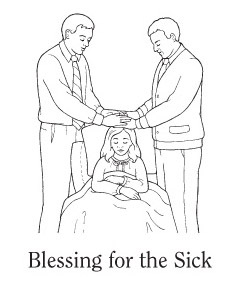 After each verse, remind the children that the priesthood blesses our lives. To bless and name through priesthood power. That I’ll be well again. Show the children the flip book you prepared. Lift the first flap, read the caption, and have the children say it with you. Repeat for each flap. Review: Children love stories, songs, pictures, and activities that they have seen and heard before. Sing songs or do activity verses from this lesson or previous lessons at any time during the nursery class. This review will help them remember the gospel principles you have taught.